just before christmas, we made a journey to san diego. it was a nice break in our hectic holiday season. we stayed in a lovely beach house that was two houses from a wonderful beach. i was inspired by the decorative touches in the house that i thought i would share them with you! hope this helps you through the winter days and nights! thanks for visiting and have a wonderful week! i loved these herbs, i actually used them for a yummy salmon dish. i don’t think i would ever think to pot this type of plant. i love the lime green color! these were hanging near the front door. they were votive holders, very cute! 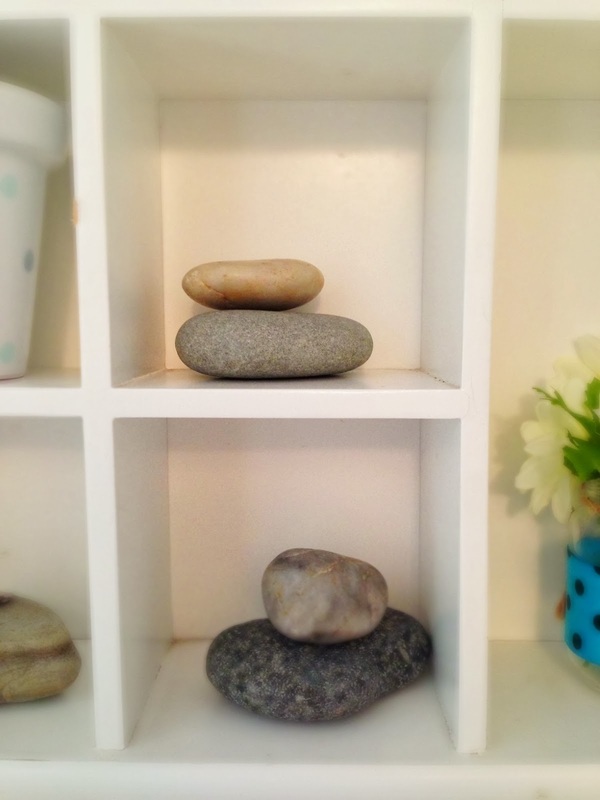 my family loves to stack smooth rocks, there is something zen about them! i love this little vignette. 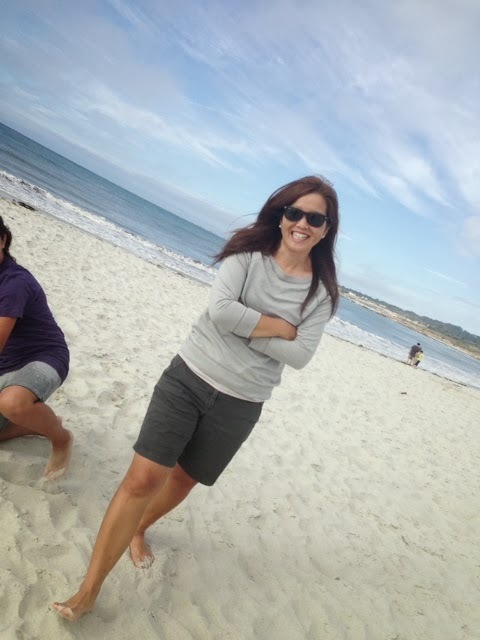 my husband insists on taking my picture sideways…hmmm….